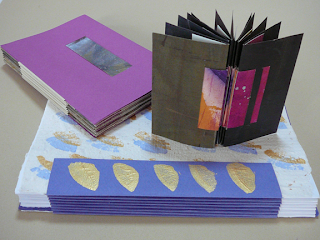 Artists' books have undergone a change in the thirty years I've been involved in the community. They used to be inexpensive; book artists could afford each other's books. Once they moved to the gallery setting and became more visual and less literary, the prices went up to gallery prices, affordable only to the wealthy. We priced our best and most enthusiastic audience out of the market. Understandably, this was the only way galleries who sold artists books could stay in business. And it keeps the book arts field alive. The unintentional response to that, related or not, has been the proliferation of zines and inexpensive publications, which turns the focus back to reading, and is affordable to everyone. I've found that my artwork falls somewhere in between categories. As an artist and writer, I want a conduit for my work. I can't stop making it, and I need room to make more. That means I need an outlet, which traditionally was a gallery, exhibition, or publication. Now it can be selling online. Or giving it away. The writing wants readers, otherwise whom is it for? But more and more calls for entry are asking for submission fees. Some are minimal, to weed out those who are not serious. Others are quite high, perhaps for the same reason. For whatever reason, I've been finding fewer and fewer opportunities that do not charge a fee. A step above paying entry fees is the requirement that if you are accepted you will have to pay (shipping, or catalogue, or print magazine copies). That makes a little more sense since your fee directly supports you. The ideal situation, one that supports an artist's dignity and self-worth, is: no fee, publications free of charge, and getting paid for your work. But in our society, this is rare, except for those who are already successful. I'm rethinking the concept of submission fees again. Recently, I joined SAQA, an organization that is an empire of opportunities. It takes money to keep it running. The calls for entry are limited to members, but in addition, the members have to pay an entry fee to submit. The venues are good, and the judges are notable. So, I'm coming around to a new opinion. I'm thinking about entry fees now as supporting communities and organizations, which in turn support artists and writers. If I can afford the fees, why not contribute? 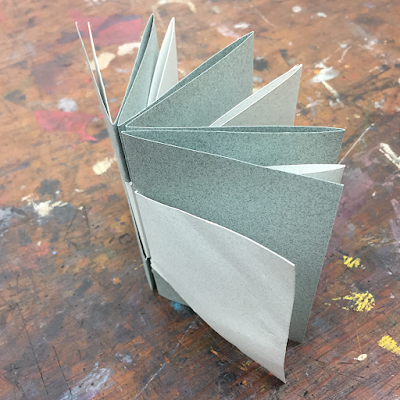 Within book arts, we've now established that we can be paid from outside of the community, which is an accomplishment; it fits my initial desire for organizations to secure funding from outside its members. But it limits what will be shown to what can be sold, which in turn influences taste and the field in general. While art is good for the soul of society, art is also a commodity. But art has no limits. What happens to good art and writing that can be appreciated, that can touch people, but is not salable? This is where the magazines and organizations come in. No one who starts a literary magazine expects to make money doing so. No one who starts a member organization does so to get rich. They do so because they love the medium, the interactions, the exchange of knowledge, the sharing of work, and the people involved. Organizations want members, and this by nature can also make them more inclusive. I enjoy the arts. I thrive on different kinds of opportunities. I've decided to pay entry fees this year and see how it goes. I know how subjective the judging can be, and that just trying one or two times won't be a good indicator of success. I'll go all in this year. But instead of being irritated or upset if my work is declined, I will accept that my fees are supporting a community, opportunities, and the promotion of the arts. And the soul. alisa, i really appreciate your blog and your thinking. i ponder these things a bit, and hope you keep us readers informed of how this all goes. Thanks, Velma. I appreciate your reading and will definitely let you know.